Welcome! 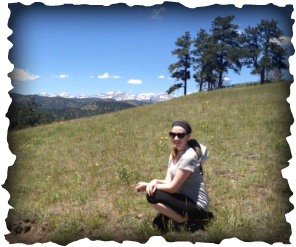 I'm a biology instructor at the University of Colorado Boulder in the Department of Ecology and Evolutionary Biology. I have a passion for science education and especially enjoy teaching biology. My research interests span the fields of chemical and behavioral ecology. For my dissertation, I examined the role of plant secondary metabolites in tri-trophic interactions. Specifically, I studied the consequences of iridoid glycosides (IGs) on the host plant use patterns of herbivores and how IGs mediate interactions between herbivores and their natural enemies.